We've all heard of Black Friday and Cyber Monday, two shopping days that have practically become national holidays. But far fewer people have likely heard of CyberSummer. While not exactly the retail shopping extravaganza that the other two well known days are, CyberSummer should nevertheless be boldly noted on the calendars of travel enthusiasts far and wide. Started four years ago, CyberSummer is an online flash sale during which participating hotels and resorts around the world offer serious travel deals, some as high as 50% off normal rates. Held the first day of summer, the sale only lasts 24 hours. It begins at midnight Eastern Standard Time on the summer solstice, June 20. "They're amazing deals," says Jody Diamond, CyberSummer's creator and CEO of Diamond PR. "The deals are so good, even our staff in the office will go online during the sale and book...These are some of the best deals of the year." Properties involved in the one-day event are located around the globe, including the Caribbean, Latin America, Europe and the United States. In Florida for instance, the Jupiter Beach Resort & Spa is offering 50% off normal rates, and the Opal Sands Resort, in Clearwater Beach, is listing rooms for a 35% mark-down. The examples don't end there. For Costa Rica fans, CyberSummer provides a chance to visit the wildly popular eco-destination at a substantial discount. 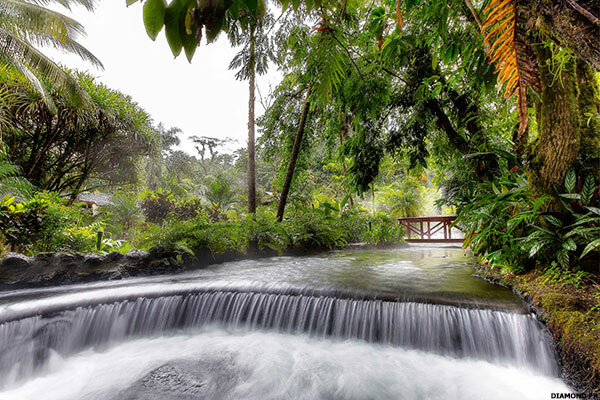 Among the properties participating in the sale is Tabacon Thermal Resort & Spa Costa Rica, which is offering 35% off. A five-star resort, Tabacon received a 2016 Travelers Choice Award from Trip Advisor for being a Top 25 in Costa Rica property. It's also a member of The Leading Hotels and The Leading Spas of the World and was ranked as a world's top ten eco-spa by National Geographic magazine. The 103-room resort is located at the base of the Arenal Volcano, and is surrounded by rainforest. Galapagos on your bucket list? Ecoventura, a yachting company specializing in providing small group, seven-night trips to the region, is among those participating in CyberSummer - with 20% off select fall departures. Ecoventura trips include guided nature walks, snorkeling, kayaking, zodiac tours and more. The Westin Playa Bonita, perched on the beach just outside of Panama City, is yet another appealing option available through the sale. 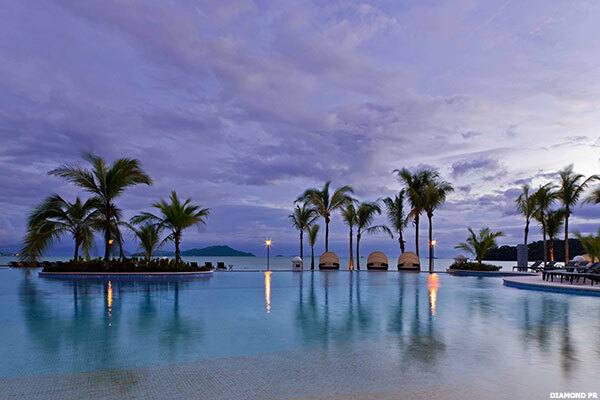 Rooms at the sprawling resort, located on a mile-long stretch of beach surrounded by rainforest, are listed for 40% off. Italy, Guatemala and Jamaica are also destinations that can be had at deep discounts thanks to CyberSummer. "The only other time we discount like this is around Black Friday," says Tara Crooks, director of e-marketing for The Palms Hotel & Spa. It's worth noting however, that CyberSummer prices at The Palms are cheaper than Black Friday (the day after Thanksgiving), because starting room rates during the winter are far more expensive. During the summer, for example, ocean view rooms at the property start at $299. With the 25% CyberSummer discount that room becomes about $225. The average winter price for the same oceanfront room is $399. You do the math. Add to that, the fact that CyberSummer deals can be used at The Palms through December 23, and voila - you've just snagged a nicely discounted, luxe winter getaway. 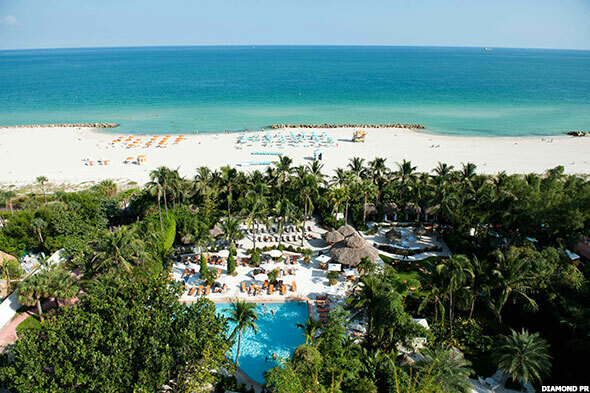 An oceanfront resort in Miami's mid-beach area, The Palms includes a farm-to-table restaurant, organic garden onsite and an in-house Aveda spa. 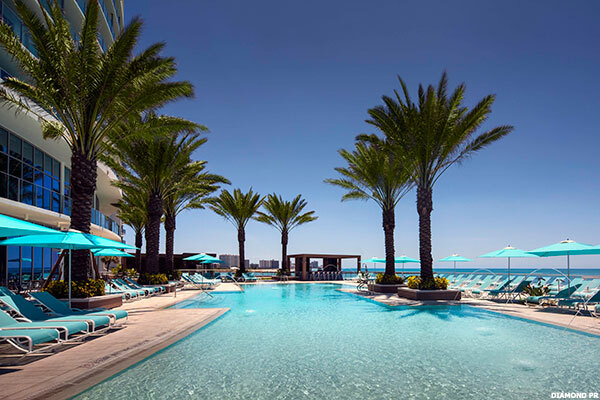 This is the second year the hotel has participated in the flash sale, which last year translated into about 169 room nights being booked by participants and nearly $30,000 in revenue for The Palms and its nearby sister property, Circa 39. "Between June and September we really see things start to slow down, so from the hotel's perspective this is great for us," says Crooks. "It's a great way for us to drive revenue during slower months." At the Jupiter Beach Resort & Spa, a 168-room property located on the Atlantic coastline, the 50% discount translates into an oceanfront room that typically costs $280 suddenly being available for less then $150. The discounted rates can be used at this particular property through Sept. 20. "We are only ocean front luxury resort in Jupiter," says Diane D'Amico, the resort's director of marketing. "We are located on 1,000 feet of Atlantic coastline in a resort that feels more like private club." Discounted rates are valid for travel for as long as the hotel decides - in some cases that's throughout the summer, in other cases it is through the end of the year. Reservations however, a subject to availability and black out dates. Those who may need an extra reminder of the sale can visit the CyberSummer website and sign up for notifications.